One level living at its best. Popular Carrington model in gated Osprey Landing within North shore at Lake Hart golf community. From the minute you enter this meticulously maintained home you have expansive views of the 4th fairway beyond your screened pool. Open floor plan lends itself to fun and enjoyable entertaining and makes for easy family living with an open kitchen and breakfast bar. Oversized kitchen features upgraded cherry cabinetry, stainless steel appliances and island. Freshly painted along with newly installed wood look tile in the formal living and dining rooms as well as new carpet in all bedrooms. The well sized master suite has his/her walk in closets with custom built ins. Master bathroom features a standalone shower, dual sinks, vanity and a soaker tub. The interior of this home consists of an HVAC unit equipped with a Honeywell Enviracare Electric Air Cleaner, new ceiling fans and canned lightening fixtures. The exterior has been completely redone by a professional landscaper with custom concrete edging featuring new rock and foliage to take advantage of the expansive views of the course. With Floridaâs heat how can you resist not getting in your private pool which has a 1 year new pool pump. 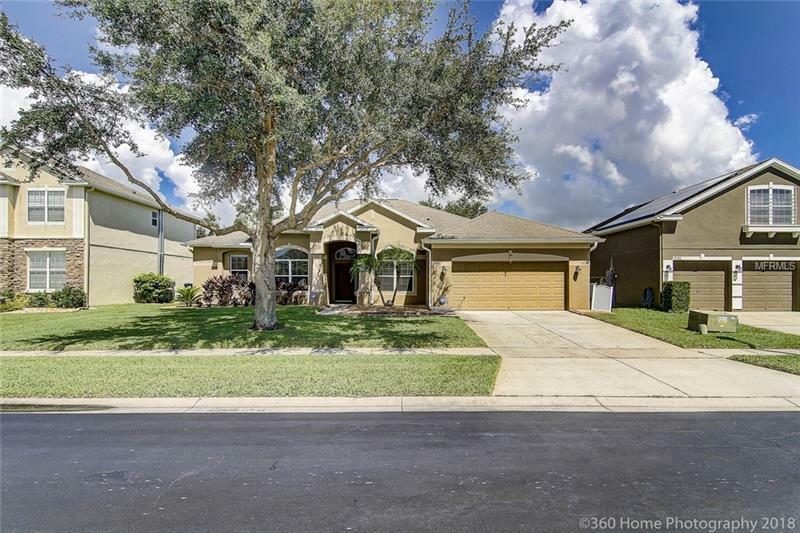 This well sought after community features a public golf course and all the amenities you could want. Check out the virtual tour showing why this home is a must see. Then view the aerial via drone of the fabulous golf course view you get to see from while relaxing inside or out by your pool.